Turipo - Trip to Turkey. Turkey trip plan. 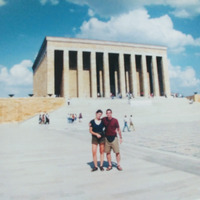 19 days travel itinerary in Turkey from Antalia to Istanbul. The Best things to do in Turkey: Antalia, Konya, Capadocia, Ankara, Bursa, Istanbul and more attractions and Places to see in Turkey. Description: Turkey trip plan. 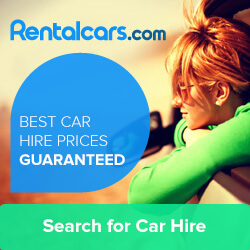 19 days travel itinerary in Turkey from Antalia to Istanbul. The Best things to do in Turkey: Antalia, Konya, Capadocia, Ankara, Bursa, Istanbul and more attractions and Places to see in Turkey. Nice beach. But a little over crowded. Nice place with an old church. Can consider to reach in the evening, stay one night, enjoy nice restaurants and atmosphere. The Mevlâna Museum, located in Konya, Turkey, is the mausoleum of Jalal ad-Din Muhammad Rumi, a Persian people Sufi mystic also known as Mevlâna or Rumi. It was also the dervish lodgeof the Mevlevi order, better known as the whirling dervishes. Sultan 'Ala' al-Din Kayqubad, the Seljuk sultan who had more.. invited Mevlâna to Konya, offered his rose garden as a fitting place to bury Rumi's father, Baha' ud-Din Walad, when he died on 12 January 1231. When Mevlâna died on 17 December 1273 he was buried next to his father. Mevlâna's successor Hüsamettin Çelebi decided to build a mausoleumover his grave of his master. The Seljuk construction, under architect Behrettin Tebrizli, was finished in 1274. Gürcü Hatun, the wife of the Seljuk Emir Suleyman Pervane, and Emir Alameddin Kayser funded the construction. The cylindrical drum of the dome originally rested on four pillars. The conical dome is covered with turquoise faience. However several sections were added until 1854. Selimoğlu Abdülvahit decorated the interior and performed the woodcarving of the catafalques. The decree of 6 April 1926 confirmed that the mausoleum and the dervish lodgewere to be turned into a museum. 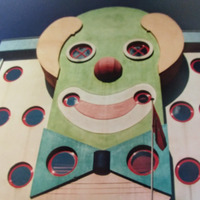 The museum opened on 2 March 1927. In 1954 it was renamed as "Mevlâna Museum". One enters the museum through the main gateto the marble-paved courtyard. The kitchen of the dervishesand the Hurrem Pasha tomb, built during the reign of Süleyman the Magnificent, are located on the right side. On the left side are 17 dervish cells lined up, covered with small domes, and built during the reign of Murad III. The kitchen was also used for educating the dervishes, teaching them the Sema. 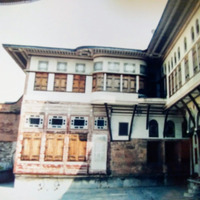 The ṣadirvanin the middle of the courtyard was built by Yavuz Sultan Selim. One enters the mausoleum and the small mosque through the Tomb gate. Its two doors are decorated with Seljuk motifs and a Persian text from mollah Abdurrahman Cami dating from 1492. It leads into the small Tilavet Roomdecorated with rare and precious Ottoman calligraphy in the sülüs, nesih, and talik styles. In this room the Koran was continuously recited and chanted before the mausoleum was turned into a museum. One enters the mausoleum from the Tilavet Room through a silver door made, according to an inscription on the door, by the son of Mehmed III in 1599. 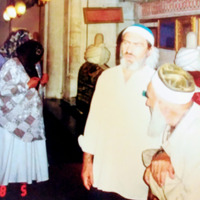 On the left side stand six coffins in rows of three of the dervisheswho accompanied Mevlâna and his family from Belkh. Opposite to them on a raised platform, covered by two domes, stand the cenotaphs belonging to the descendants of the Mevlâna familyand some high-ranking members of the Mevlevi order. 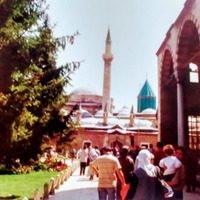 The sarcophagus of Mevlâna is located under the green dome. It is covered with brocade, embroidered in gold with verses from the Koran. This, and all other covers, were a gift of sultan Abdul Hamid II in 1894. The actual burial chamber is located below it. Next to Mevlâna's sarcophagus are several others, including the sarcophagi of his father Bahaeddin Veled and his son Sultan Veled. The wooden sarcophagus of Mevlâna dates from the 12th century now stands over the grave of his father. It is a masterpiece of Seljuk woodcarving. The silver lattice, separating the sarcophagi from the main section, was built by Ilyas in 1579. The Ritual Hallwas built under the reign of Süleyman the Magnificent at the same time as the adjoining small mosque. In this hall the dervishes used to perform the Sema, the ritual dance, on the rhythm of musical instruments such as, the kemence, the keman, the halile, the daire, the kudüm, the rebaband the flute, played once by Mevlâna himself. All these instruments are on display in this room, together with an ancient Kirşehir praying rug, dervish clothesand four crystal mosque lamps. In this room one can also see a rare Divan-i-Kebirfrom 1366 and two fine specimens of Masnavisfrom 1278 and 1371. The adjoining small mosqueis now used for the exhibition of a collection of old, illustrated Korans and extremely valuable prayer rugs. There is also a box, decorated with nacre, containing the Holy Beard of Muhammad. The mausoleum was depicted on the reverse of the Turkish 5000 lira banknotes of 1981-1994. less..
Konyais a major city in the Central Anatolia Region of Turkey. It is the seventh-most-populous city in Turkey. As of 2016, Konya has a population of over 2.1 million. 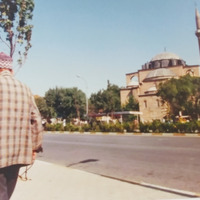 Konya is an economically and industrially developed city and the capital of Konya Province. Konya was historically the capital of more.. the Seljuk Sultanate of Rumand the Karamanids. less..
Göreme, located among the "fairy chimney" rock formations, is a town in Cappadocia, a historical region of Turkey. It is in the Nevşehir Province in Central Anatolia and has a population of around 2,000 people. Former names of the town have been Korama, Matiana, Maccan or Machan, and Avcilar. 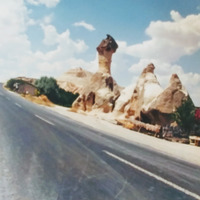 When more.. Göreme Valley nearby was designated an important tourist destination, a "center" for all tourism in Cappadocia, the name of the town was changed to Göreme for practical reasons. 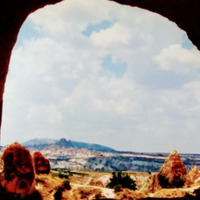 The Göreme National Parkwas added to the UNESCO World Heritage List in 1985. 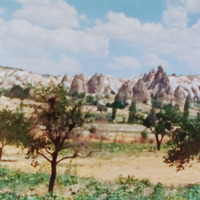 The time that the Göreme was first settled is unclear, but it could date back as the Hittite era, between 1800 and 1200 B.C. 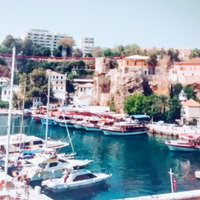 The location was central between rivaling empires, such as the Greeks and Persians, leading the natives to tunnel into the rock to escape the political turmoil. During the Roman era, the area became home to Christians retreating from Rome. Christianity prevailed as the primary religion in the region, which is evident from many rock churches that can still be seen today. 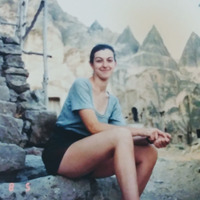 Among Göreme's historically important sites are Ortahane, Durmus Kadir, Yusuf Koc and Bezirhane churches, in addition to the richly decorated Tokali Kilise, the Apple Church, and a number of homes and pigeon houses carved straight into the rock formations in the town. less..
Day's description: Day trip around Goreme. Rental bikes at Motodocia in Göreme. Ürgüpis a town and district of Nevşehir Province in the Central Anatolia region of Turkey. 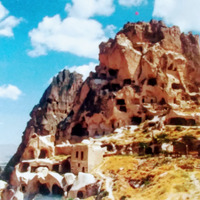 It is located in the historical region of Cappadocia, and near the cave Churches of Göreme. 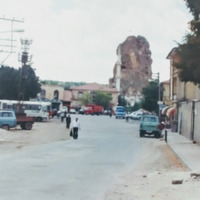 According to 2010 census, the population of the district is 34,372 of which 18,631 live in the town of Ürgüp. The more.. district covers an area of 563 km2, and the town lies at an average elevation of 1,043 m. Cappadocia is one of Turkey’s largest wine-producing regions, with Urgup as its capital. Uphill from Hotel Surban, the renowned Turasan Winery supplies 60% of Cappadocia’s wines and offers free tours and tastings in its rock-carved wine cellar. less..
Avanos) is a town and district of Nevşehir Province in the Central Anatolia region of Turkey, located 18 kmnorth of Nevşehir, the capital city of the province. 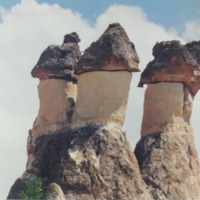 It is situated within the historic and tourist region of Cappadocia. 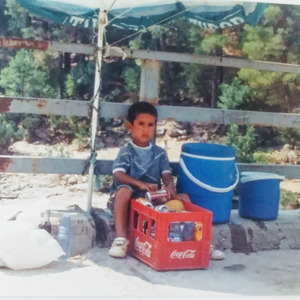 According to 2000 census, population of the district is 35,145 of which more.. 12,288 live in the town of Avanos. The district covers an area of 994 km2, and the average elevation is 920 m, with the highest point being Mt. 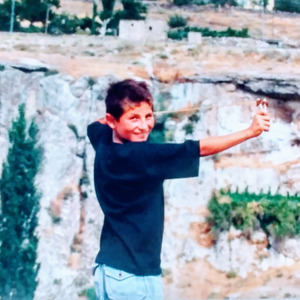 İsmail Sivrisi at 1,756 m. The old city of Avanos, whose name in ancient times was Venessa, overlooks the longest river of Turkey, the Kızılırmak, which also separates Avanos from the rest of Cappadocia. 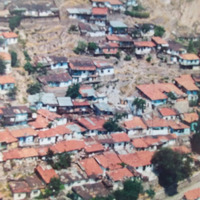 The most famous historical feature of Avanos, which is still relevant and very visible today, is its production of earthenware pottery; it is also the most economic activity in the town. The ceramic trade in this district and its countless pottery factories date right back to the Hittites, and the ceramic clay from the red silt of the Kızılırmak has always been used. It is a popular destination because of its attractive old town with cobbled streets, and views over the river. less..
Beware: Definitely not for the claustrophobic. This place city is an ancient multi-level underground city extending to a depth of approximately 60 m. It was large enough to shelter as many as 20,000 people together with their livestock and food stores for long periods. It is the largest excavated underground city in Turkey and is one of several underground complexes found across Cappadocia. 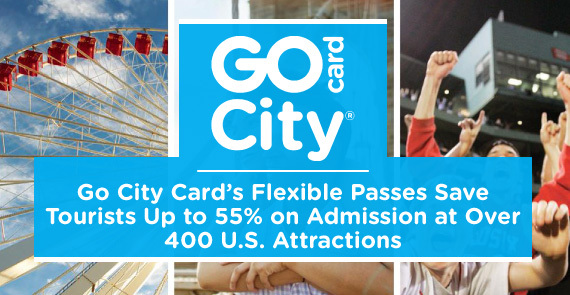 It was opened to visitors in 1969 and about half of the underground city is currently accessible to tourists. Little guidance, mediocre lighting, but ventilation (natural) is adequate. 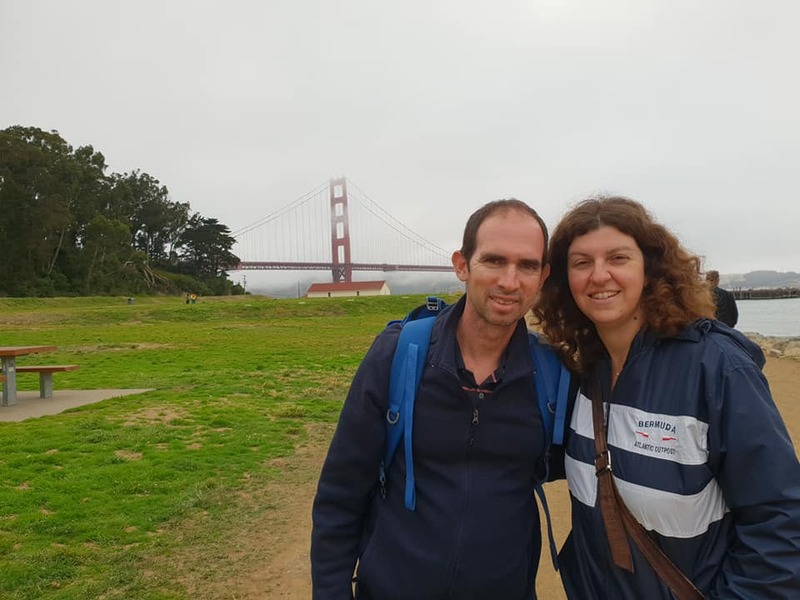 Better to visit it with a guide. Highly recommended. 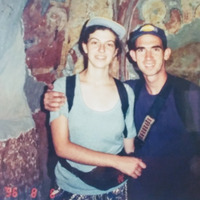 If you have a time you can visit in Kaymakli Underground city as well. Derinkuyuis a town and district of Nevşehir Province in the Central Anatolia region of Turkey. 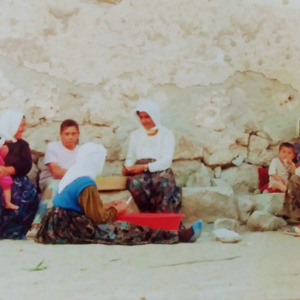 According to 2010 census, population of the district is 22,114 of which 10,679 live in the town of Derinkuyu. The district covers an area of 445 km2, and the average elevation is 1,300 m, with the highest more.. point being Mt. 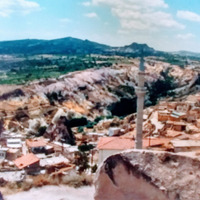 Ertaş at 1,988 m. Located in Cappadocia, Derinkuyu is notable for its large multi-level underground city, which is a major tourist attraction. 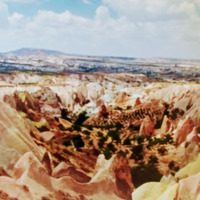 The historical region of Cappadocia, where Derinkuyu is situated, contains several historical underground cities, carved out of a unique geological formation. They are not generally occupied. Over 200 underground cities at least two levels deep have been discovered in the area between Kayseri and Nevşehir, with around 40 of those having at least three levels. The troglodyte cities at Derinkuyu and Kaymaklı are two of the best examples of underground dwellings. less..
Kaymakli Underground Cityis contained within the citadel of Kaymakli in the Central Anatolia Region of Turkey. 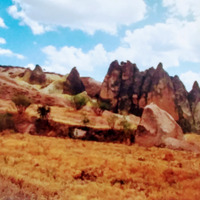 First opened to tourists in 1964, the village is about 19 km from Nevşehir, on the Nevşehir-Niğde road. 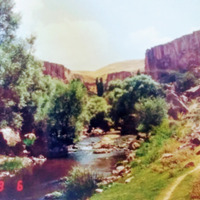 Ihlara Valley (often misspelled as Ilhara Valley), near Mount Hasan and Mount Melendiz (two of the three volcanoes of Cappadocia) is a canyon with a depth of approximately 100m and was formed by the Melendiz River thousands of years ago. 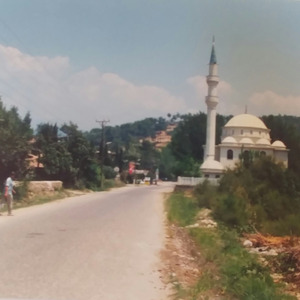 It begins at Ihlara village and ends with Selime Monastery at Selime village after making 26 bends along 14 kilometers, about 5 hours hiking. Ihlara is a township with own municipality in Aksaray Province, Central Anatolia, Turkey. It is situated at about 40 kmfrom the province seat of Aksaray and near the town of Güzelyurt. 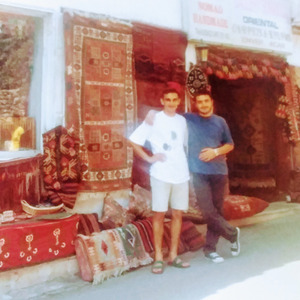 The township is famed for the nearby valley of the same name, Ihlara Valley, which is a 16 kmlong gorge cut into more.. volcanic rock in the southern part of Cappadocia, following several eruptions of Mount Erciyes. The Melendiz Stream flows through the valley. 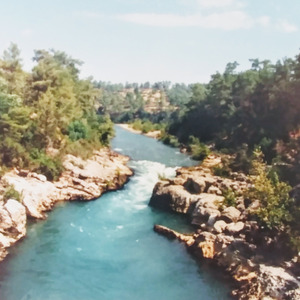 The Ihlara Valley consists of 14km along the north-south Melendi River, which runs from Selime to Ihlara village. Sixteen of the valley’s 105 churches are open to visitors, and most of these are within 1km of the official valley entrance in Ihlara. 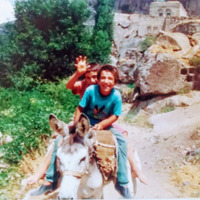 The first one you are likely to see is Ağaçaltı Kilise, at the base of the stairs leading into the valley. Spectacular blue and white angels encircle the Christ figure on the well-preserved dome. Another 30m south past the Ağaçaltılies the Ptirenllseki Church, whose faded walls enclose the many martyrs of Sivas. The Kokar Kilise, 70m farther along, celebrates biblical stories with colorful frescoes and ornate geometrical ceiling crosses. What makes the valley unique is the ancient history of its inhabitants. The whole canyon is honeycombed with rock-cut underground dwellings and churches from the Byzantine period built by the Cappadocian Greeks. These local people were forced to leave the area and move to Greece in the 1923 Population exchange between Turkey and Greece. Due the valley's plentiful supply of water and hidden places, this was the first settlement of the first Christians escaping from Roman soldiers. In the Ihlara Valley there are hundreds of old churches in the volcanic rock caves. 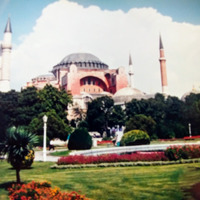 The best-known churches are Ağaçaltı Church with cross plan, Sümbüllü Church, Pürenliseki Church, Kokar Church, Yilanli Church, Karagedik Church, Kirkdamatli Church, Direkli Church, Ala Church, Kemerli Church and Egritas Church. less.. The Ulucanlar Prison Museumis a former state prison in Ankara, Turkey that was converted into a prison museum following restoration by Altındağ Municipality. The museum was opened in 2011. It is the first museum of its kind in Turkey. Anıtkabiris the mausoleum of Mustafa Kemal Atatürk, the leader of the Turkish War of Independence and the founder and first President of the Republic of Turkey. It is located in Ankara and was designed by architects Professor Emin Onat and Assistant Professor Ahmet Orhan Arda, whose proposal beat 48 more.. other entries from several countries in a competition held by the Turkish Government in 1941 for a "monumental tomb" for Atatürk. The site is also the final resting place of İsmet İnönü, the second President of Turkey, who was interred there after he died in 1973. 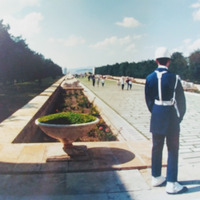 His tomb faces the Atatürk Mausoleum, on the opposite side of the Ceremonial Ground. 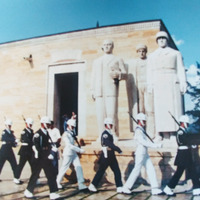 The mausoleum was depicted on various Turkish banknotes during 1966–1987 and 1997–2009. less.. The Museum of Anatolian Civilizationsis located on the south side of Ankara Castle in the Atpazarı area in Ankara, Turkey. It consists of the old Ottoman Mahmut Paşa bazaar storage building, and the Kurşunlu Han. Because of Atatürk's desire to establish a Hittite museum, the buildings were bought more.. upon the suggestion of Hamit Zübeyir Koşay, who was then Culture Minister, to the National Education Minister, Saffet Arıkan. After the remodelling and repairs were completed, the building was opened to the public as the Ankara Archaeological Museum. Today, Kurşunlu Han, used as an administrative building, houses the work rooms, library, conference hall, laboratory and workshop. The old bazaar building houses the exhibits. Within this Ottoman building, the museum has a number of exhibits of Anatolian archeology. They start with the Paleolithic era, and continue chronologically through the Neolithic, Early Bronze, Assyrian trading colonies, Hittite, Phrygian, Urartian, Greek, Hellenistic, Roman, Byzantine, Seljuq and Ottoman periods. There is also an extensive collection of artifacts from the excavations at Karain, Çatalhöyük, Hacılar, Canhasan, Beyce Sultan, Alacahöyük, Kültepe, Acemhöyük, Boğazköy, Pazarlı, Altıntepe, Adilcevaz and Patnos as well as examples of several periods. The exhibits of gold, silver, glass, marble and bronze works date back as far as the second half of the first millennium BC. The coin collections, with examples ranging from the first minted money to modern times, represent the museum's rare cultural treasures. Museum of Anatolian Civilizations reaching the present time with its historical buildings and its deeply rooted history was elected as the first "European Museum of the Year" in Switzerland on April 19, 1997. less..
Roman baths are thermae. Historic examples of Roman Baths include: Għajn Tuffieħa Roman Baths, a ruin in Malta Roman Baths of Ankara, a ruin in Ankara, Turkey Roman Baths, a well-preserved site in England Roman Baths Museum, inside the remains of the fortress of Isca Augusta at Caerleon, Wales Roman more.. Baths, Strand Lane, a cold spring bath near London, reputedly of Roman origin Thermae Bath Spa, a historic spa with a contemporary spa in Bath, England Welwyn Roman Baths, a ruin near Welwyn Garden City, England Roman Baths, Beirut Modern examples of Roman Baths include: less..
Ankara, formerly known as Ancyra and Angora, is the capital of the Republic of Turkey. With a population of 4,587,558 in the urban centerand 5,150,072 in its province, it is Turkey's second largest city after former imperial capital Istanbul, having overtaken Izmir. The former Metropolitan more.. archbishopric remains a triple titular see. Ankara was Atatürk's headquarters from 1920 and has been the capital of the Republic since the latter's founding in 1923, replacing Istanbulfollowing the fall of the Ottoman Empire. The government is a prominent employer, but Ankara is also an important commercial and industrial city, located at the center of Turkey's road and railway networks. The city gave its name to the Angora wool shorn from Angora rabbits, the long-haired Angora goat, and the Angora cat. The area is also known for its pears, honey and muscat grapes. Although situated in one of the driest places of Turkey and surrounded mostly by steppe vegetation except for the forested areas on the southern periphery, Ankara can be considered a green city in terms of green areas per inhabitant, at 72 square metresper head. Ankara is a very old city with various Hittite, Phrygian, Hellenistic, Roman, Byzantine, and Ottoman archaeological sites. The historical center of town is a rocky hill rising 150 mover the left bank of the Ankara Çayı, a tributary of the Sakarya River, the classical Sangarius. 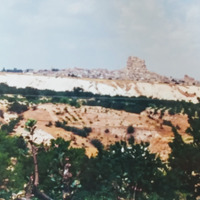 The hill remains crowned by the ruins of the old citadel. Although few of its outworks have survived, there are well-preserved examples of Roman and Ottoman architecture throughout the city, the most remarkable being the 20 BC Temple of Augustus and Rome that boasts the Monumentum Ancyranum, the inscription recording the Res Gestae Divi Augusti. less..
Bolu is a city in Turkey, and administrative center of the Bolu Province. The population is 131,264. The city has been governed by mayor Alaaddin Yılmazsince local elections in 2004. It was the site of Ancient Claudiopolis and has also been called Eskihisar. Bolu is on the old highway from Istanbul more.. to Ankara, which climbs over Mount Bolu, while the new motorway passes through Mount Bolu Tunnel below the town. less..
A very nice and big nature park. There are plenty of nice cafes and places to have some really nice kebab. Beware though, they can be kind of pricy (especially by Turkish standards). There are a lot of picnic areas if you want to cook your own meat. 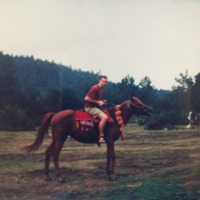 You can also go horseback riding in the open fields (though I did not try these myself). There is a nice farmer's market and also a little cottage that sells more officially packaged food. I bought some great cheese here! A nice choice if you want to take a walk (or bike) around the lake or drink some tea while looking at some nice scenery. Lake Abantis a freshwater lake in Turkey's Bolu Province in northwest Anatolia, formed as a result of a great landslide. 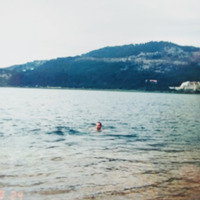 The lake lies at an altitude of 1,328 mat a distance of 32 kmfrom the provincial seat of Bolu city. 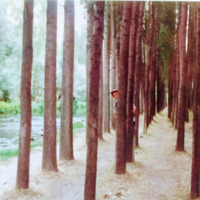 It is a favorite vacation and excursion spot for both Turkish and foreign more.. travellers thanks to the natural beauty of its surroundings, which are covered with dense forests, and easy access by carroad leaving from the İstanbul-Ankara motorway or the highway at the level of Mount Bolu, three hours' drive from these two largest cities of Turkey). Lake Abant is a natural park. The lake covers an area of 1.28 km2and its deepest spot is 18 m. The lake area has two large hotels in the immediate vicinity of the shores, as well as other amenities and services for visitors, who sometimes alternatively opt for the family guesthouses available in the nearby town of Mudurnu 18 km to the south. To the north of the lake, at a distance of 8 kmfrom Bolu city, is the main campus of Abant Izzet Baysal University. 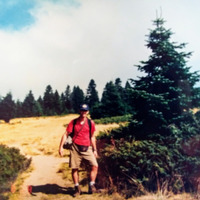 European black pine, Scots pine, oaks, ashes, hornbeams, willows, junipers, tamarisks, hazels, common medlar, and strawberry trees are among the tree species that make up the lake's woodlands, and there are wild boars, fallow deer, roe deer, red deer, brown bears, wolves, red foxes, jackals and rabbits in the surrounding forests, which makes the lake a prized location for hunters during the season. The lake is inhabited by the Abant trout Salmo abanticus, aspecies of trout which is strictly endemic to this lake only. less.. The Muradiye Complexor the Complex of Sultan Murad II, the Ottoman sultan, is located in Bursa, Turkey. 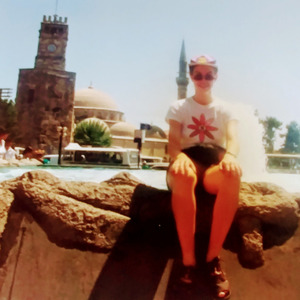 Bursa is a large city in Turkey, located in northwestern Anatolia, within the Marmara Region. It is the fourth most populous city in Turkey and one of the most industrialized metropolitan centres in the country. The city is also the administrative centre of Bursa Province. Bursa was the first major more.. and second overall capital of the Ottoman State between 1335 and 1363. 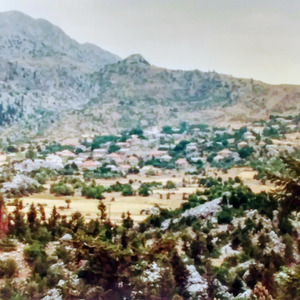 The city was referred to as Hüdavendigarduring the Ottoman period, while a more recent nickname is Yeşil Bursain reference to the parks and gardens located across its urban fabric, as well as to the vast and richly varied forests of the surrounding region. The ski resort of Mount Uludağ towers over it. The mountain was called the Mysian Olympus by the Romans who lived there before. Bursa has rather orderly urban growth and borders a fertile plain. The mausoleums of the early Ottoman sultans are located in Bursa and the city's main landmarks include numerous edifices built throughout the Ottoman period. 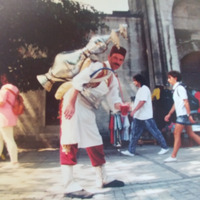 Bursa also has thermal baths and several museums, including a museum of archaeology. The shadow play characters Karagöz and Hacivat are based on historic personalities who lived and died in Bursa. 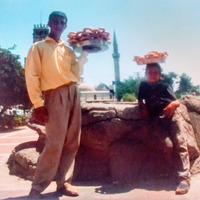 Bursa is also home to some of the most famous Turkish dishes such as İskender kebap, specially candied marron glacés, peaches and Turkish Delight. 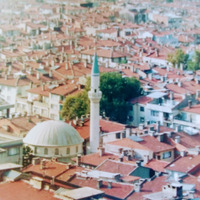 Bursa houses the Uludağ University, and its population can claim one of the highest overall levels of education in Turkey. 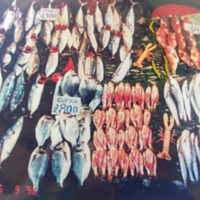 The historic towns of İznik, Mudanya and Zeytinbağı are all situated in Bursa Province. In 2015, Bursa had a population of 2,340,000, while Bursa Province had 2,842,000 inhabitants. less.. The Topkapı Palaceor the Seraglio, is a large museum in Istanbul, Turkey. In the 15th century, it served as the main residence and administrative headquarters of the Ottoman sultans. 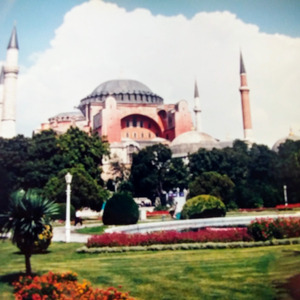 Construction began in 1459, ordered by Mehmed the Conqueror, six years after the conquest of Constantinople. Topkapı more.. was originally called the "New Palace"to distinguish it from the Old Palace in Beyazıt Square. It was given the name Topkapı, meaning Cannon Gate, in the 19th century. The complex was expanded over the centuries, with major renovations after the 1509 earthquake and the 1665 fire. The palace complex consists of four main courtyards and many smaller buildings. Female members of the Sultan's family lived in the harem, and leading state officials, including the Grand vizier held meetings in the Imperial Council building. After the 17th century, Topkapı gradually lost its importance. The sultans of that period preferred to spend more time in their new palaces along the Bosphorus. In 1856, Sultan Abdulmejid I decided to move the court to the newly built Dolmabahçe Palace. Topkapı retained some of its functions including the imperial treasury, library and mint. Following the end of the Ottoman Empire in 1923, Topkapı was transformed into a museum by a government decree dated April 3, 1924. The Topkapı Palace Museum is administered by the Ministry of Culture and Tourism. The palace complex has hundreds of rooms and chambers, but only the most important are accessible to the public today, including the Ottoman imperial harem and the treasury, called hazine where the Spoonmaker's Diamond and Topapı Dagger are on display. The museum collection also includes Ottoman clothing, weapons, armor, |miniatures, religious relics, and illuminated manuscripts like the Topkapi manuscript. The complex is guarded by officials of the ministry as well as armed guards of the Turkish military. Topkapı Palace is part the Historic Areas of Istanbul, a group of sites in Istanbul that were added to the UNESCO World Heritage Site in 1985. less..
İstiklal Avenue or Istiklal Streetis one of the most famous avenues in Istanbul, Turkey, visited by nearly 3 million people in a single day over the course of weekends. 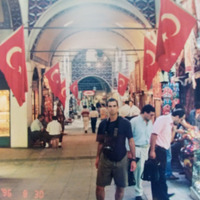 Located in the historic Beyoğludistrict, it is an elegant pedestrian street, 1.4 kilometers long, which houses boutiques, music more.. stores, bookstores, art galleries, cinemas, theatres, libraries, cafés, pubs, night clubs with live music, historical patisseries, chocolateries and restaurants. The avenue, surrounded by late Ottoman era buildingsthat were designed with the Neo-Classical, Neo-Gothic, Renaissance Revival, Beaux-Arts, Art Nouveau and First Turkish National Architecture styles; as well as a few Art Deco style buildings from the early years of the Turkish Republic, and a number of more recent examples of modern architecture; starts from the medieval Genoese neighbourhood around Galata Tower and ultimately leads up to Taksim Square. 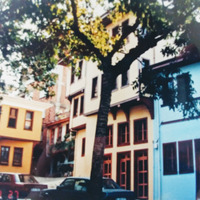 Galatasaray Square is located at approximately the center of the avenue and is home to the oldest secondary school in Turkey: the Galatasaray High School, originally known as the Galata Sarayı Enderun-u Hümayunu. In the historic Karaköydistrict towards the southern end of the avenue, it is possible to see the world's second-oldest subway station, generally known and referred to as simply Tünelwhich entered service in 1875. Moreover, one of the finest educational institutions established in Turkey, the German High School of Istanbulis also located near Tünel. The cosmopolitan avenue is surrounded by an array of historical and politically significant buildings, such as the Çiçek Pasajıwhere small, intimate restaurants and taverns are found; Balık Pazarı; the Hüseyin Ağa Camii Mosque; the Roman Catholic churches of Santa Maria Draperis and S. Antonio di Padova; the Greek Orthodox Haghia Triada; the Armenian Üç Horan; several synagogues; mosques; academic institutions established by various European nations such as Austria, France, Germany and Italy in the 19th century; and consulatesof several nations including France, Greece, the Netherlands, Russia, Spain, Sweden, and the United Kingdom. During the Ottoman period, the avenue was called Cadde-i Kebirin Turkish or Grande Rue de Péra. It was a popular spot for Ottoman intellectuals, European and the local Italian and French Levantines. When 19th-century travelers referred to Constantinopleas the Paris of the East, they were mentioning the Grande Rue de Péraand its half-European, half-Asian culture. With the declaration of the Republic on 29 October 1923, the avenue's name was changed to İstiklalfor commemorating the triumph at the Turkish War of Independence. In September 1955, during the anti-Greek Istanbul Riots, the Avenue was pillaged in one night, while it was covered with pieces of glass, clothes, smashed white goods, rolled down and burned automobiles and other goods, all belonging to the wrecked shops. 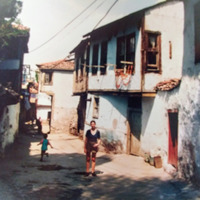 The avenue briefly fell from grace in the 1970s and 1980s, with its old Istanbulite inhabitants moving elsewhere, and its side streets – then stereotyped with their bars and bordellos – being populated by migrants from the rural areas of Anatolia. 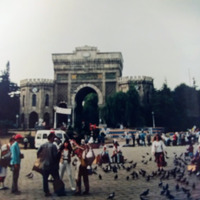 However, during the late 1980s and early 1990s, a massive restoration process took place, master-planned and executed by the Istanbul Metropolitan Municipality and Beyoğlu Municipality, bringing the avenue its old charm and popularity. İstiklal Avenue once again became the center of fine arts and leisure in Istanbul, with real estate prices skyrocketing as a result. 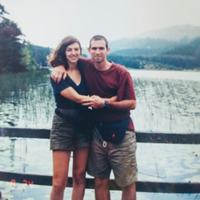 Numerous new art galleries, bookstores, cafés, pubs, restaurants, shops and hotels were opened. 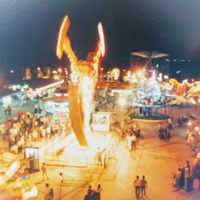 The venues around the avenue became the host of many international art festivals, such as the annual Istanbul Film Festival. İstiklal Avenue is also a popular venue for all sorts of parades, marches, gatherings and protestsin the city. On 19 March 2016 it was the location of a suicide bombing attack that killed 5 people. less..
Miniatürk is a miniature park situated at the north-eastern shore of Golden Horn in Istanbul, Turkey. It was opened May 2, 2003. Miniatürk covers a total area of 60,000 square metres. 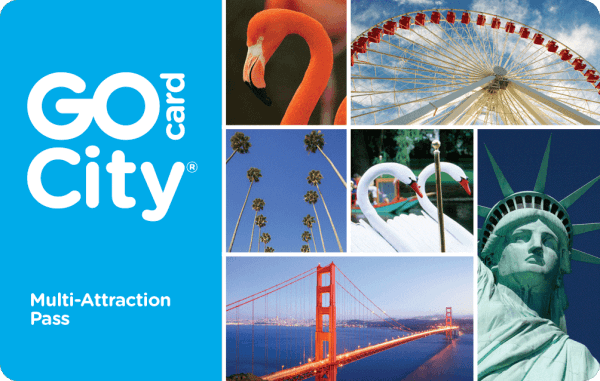 It is one of the world's largest miniature parks with its 15,000 m2model area. The park contains 122 models in 1:25 more.. scale. It contains structures from in and around Turkey, as well as interpretations of historic structures. less..
Taksim Square, situated in Beyoğlu in the European part of Istanbul, Turkey, is a major tourist and leisure district famed for its restaurants, shops, and hotels. It is considered the heart of modern Istanbul, with the central station of the Istanbul Metro network. Taksim Square is also the location more.. of the Monument of the Republicwhich was crafted by Pietro Canonica and inaugurated in 1928. The monument commemorates the 5th anniversary of the foundation of the Republic of Turkey in 1923, following the Turkish War of Independence. less.. The Galata Bridgeis a bridge that spans the Golden Horn in Istanbul, Turkey. From the end of the 19th century in particular, the bridge has featured in Turkish literature, theater, poetry and novels.